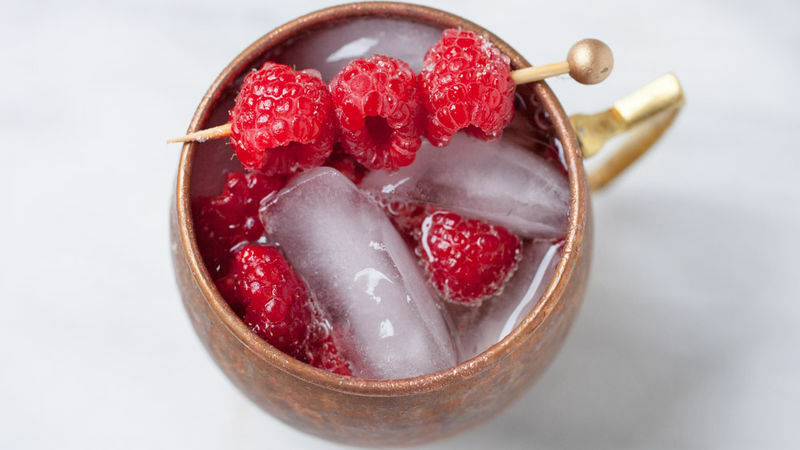 In a cocktail shaker, lightly muddle raspberries and sugar. Top with gin and stir with ice. Strain into a copper cocktail mug and fill with ice and ginger beer. Garnish with raspberries dusted with sugar. To make garnish, rinse raspberries with water and dust with fine sugar. Measuring tip: 2 tablespoons = 1 oz of alcohol.